The Los Angeles Area Chamber of Commerce came to Wildebeest for ideas to build a tool that would help foster children find their perfect job in the retail grocery industry. We worked closely with the department as they prepared their grant. After the award, we designed and built a machine learning employment quiz using open source technologies to help LA’s transition-age foster youth prepare to earn, retain, and develop careers. The client needed an assessment and exploration tool for helping foster youth find employment opportunities. Additionally, the client needed tools for service providers to manage their youth clients and for employers to create and customize their own unique employment opportunities. Our client wanted the ability to facilitate aptitude tests and communicate with potential employers, while managing the system through a simple CMS (Content Management System). We created a machine learning employment quiz platform that serves multiple different user types. The most important is the mobile responsive experience we created for foster youth to find jobs. 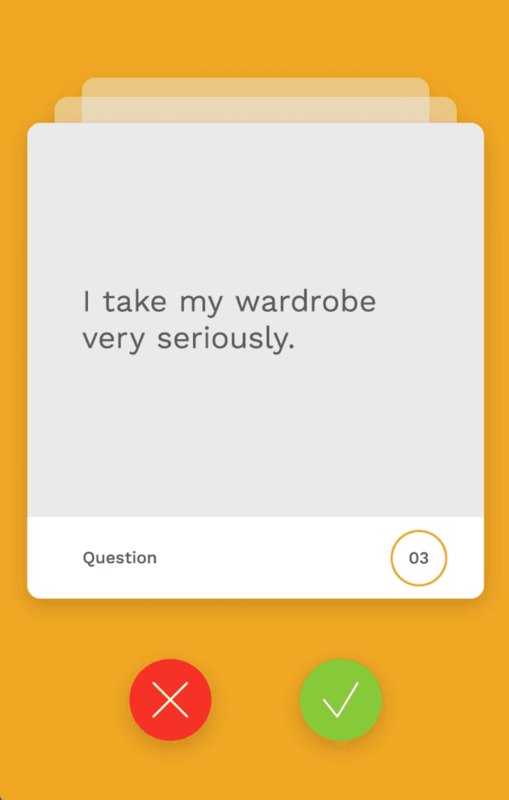 The experience is similar to that of a Tinder quiz that lets them easily swipe left or right on their mobile device to provide true or false inputs on statements describing facets of a job. On the backend, we created an admin interface to weigh various aptitudes in each statement displayed to the Youth. For example, a statement might be “Your friends would describe you as the life of the party”. Behind the scenes, the admins of the platform would analyze that statement and weigh the various aptitudes and how they might relate to a job. For example, you might deduce that “the life of the party” would be a strong communicator, present leadership, and have enthusiasm. However, there’s not likely correlation with being “the life of the party” and technical skills or being punctual. We also created an interface for service providers who regularly meet in person with the foster youth users and then manually score their proficiency and progression in each job family. If a youth shows exceptional communication skills, they may be ranked as “advanced” in Communication, but if their computer skills are lacking, they may be scored as a “beginner” in the Technology job family. Once the youth user matches with a job family, the applicable proficiency scored by the service provider allows us to display the user’s personalized match alongside standardized feedback on how to ascend to the next proficiency level.